Read receipts are something that have been a part of the email ecosystem for a long time, and many people have strong feelings about them. Some people love using them so that they can know when a recipient has read an email they sent, while others hate them because they feel it isn’t any of the sender’s business whether or not they have read an email. If you receive a lot of read receipt requests and never send them, then you might be looking for a way to stop having to worry about them. 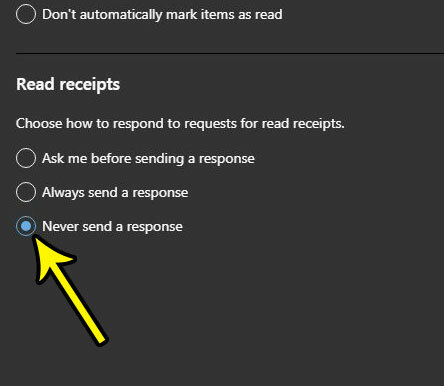 Our tutorial below will show you how to change a setting in Outlook.com so that you never send a response to a read receipt. The steps in this article were performed in the desktop version of the Google Chrome Web browser, but will also work in other desktop browsers as well. By completing the steps in this guide you will be changing the behavior for your Outlook.com email account so that you automatically never send a response to any read receipts that you receive. Step 1: Sign into your Outlook.com email account. Step 2: Select the gear icon at the top-right of the window. 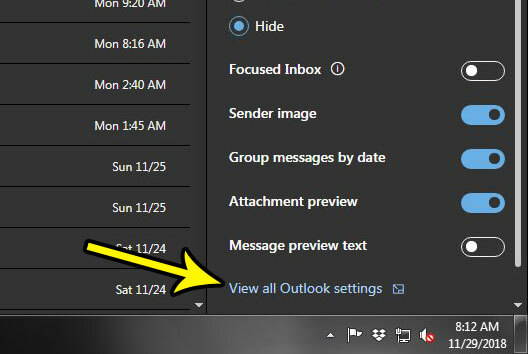 Step 3: Choose the View all Outlook settings option at the bottom of the menu on the right side of the window. 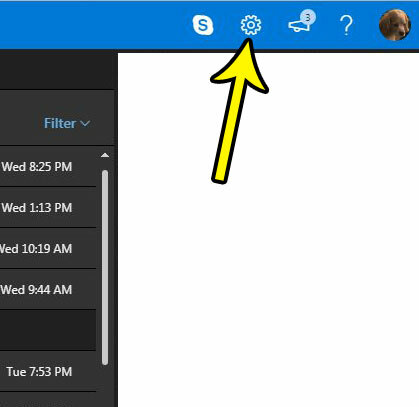 Step 4: Select the Message handling option in the center column of the menu. Step 5: Click the Never send a response option under Read receipts, then click the Save button at the top-right of the menu to apply the change. Are you having difficulty finding or viewing an email message because it was part of a multi-message conversation? 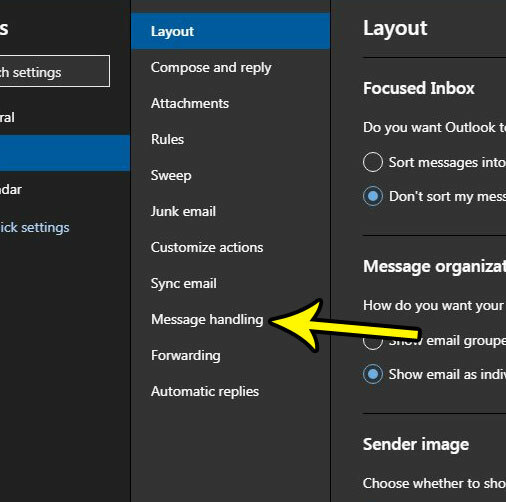 This guide will show you how to get Outlook.com to stop combining your email messages into conversations.